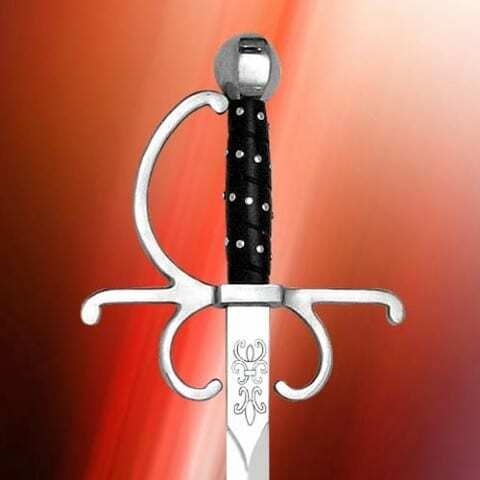 Lightning quick rapier used by masters of the duel throughout Europe. Simple, elegant Renaissance style etching adorns each side of the ricasso. Solid steel parts with hand carved horn and steel rivetted grip. 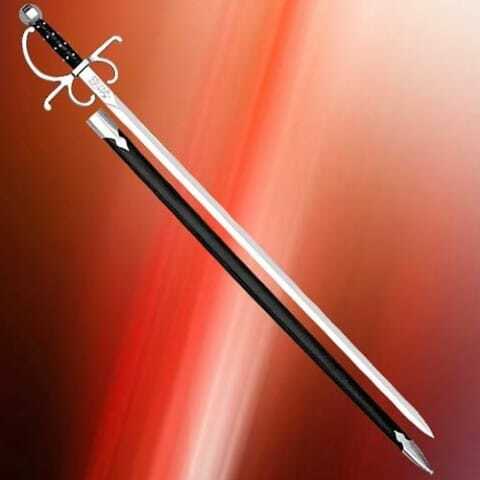 Full tang high carbon steel blade 90cm x 2.4cm x 0.5cm. Overall length 105cm. Weight 0.9kg.